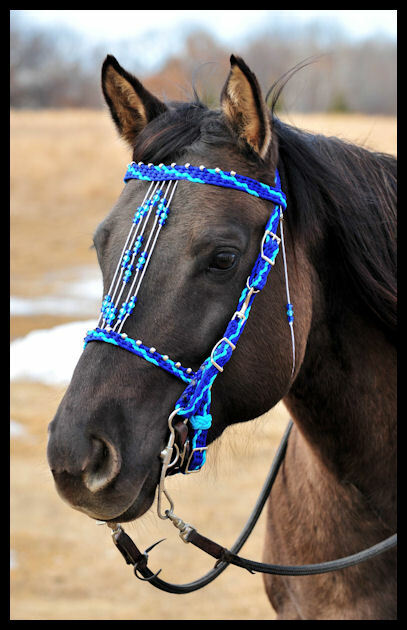 Custom ordered show halter-bridle combos available in any of the colors listed. *With silver or gold beads/hardware. Currently three styles to choose from. 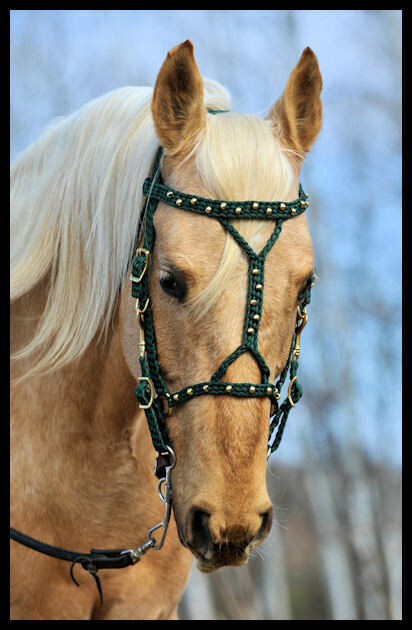 These can be used as a fancy show halter or simply add the bit attachments for a full functioning bridle. Match reins and breastcollar sold separately. 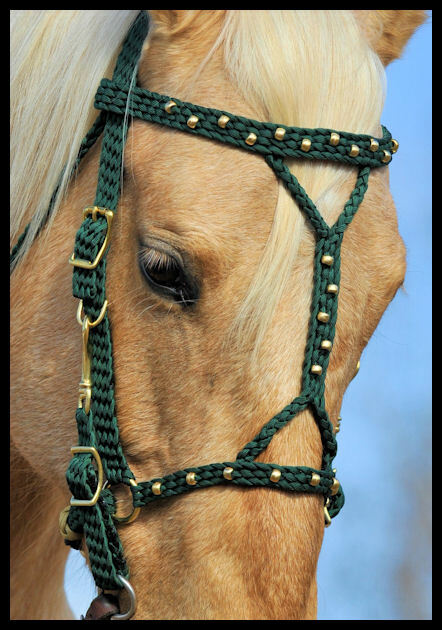 - Shown here in emerald green w/gold on an AQHA mare. 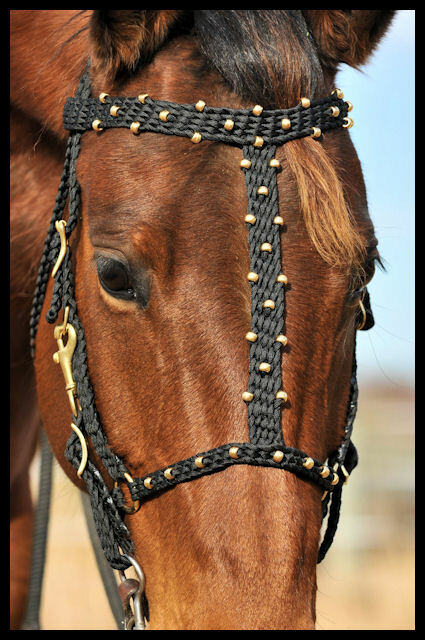 This style features a straight center piece with decorative beading. 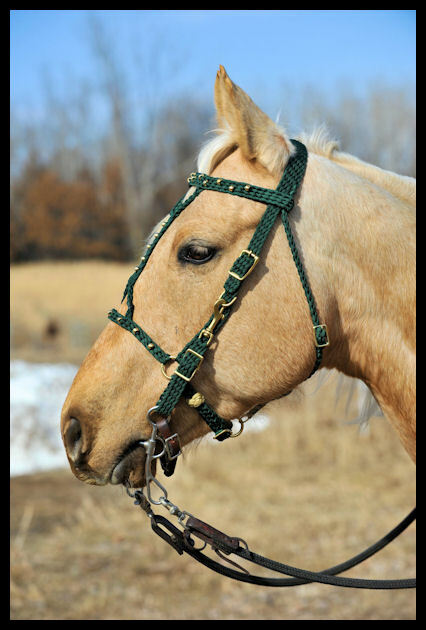 Fully adjustable halter-bridle combos with no set holes. 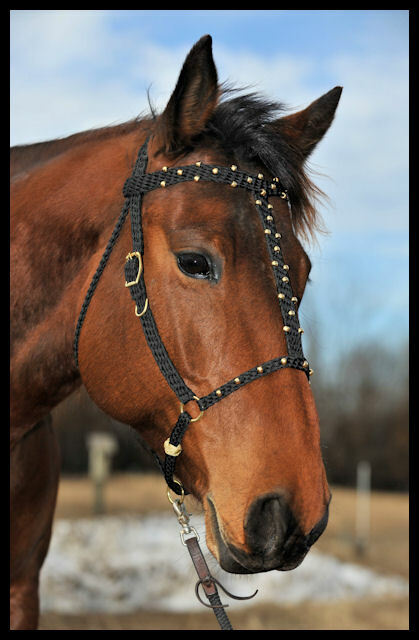 Adjustable 4 ways on the bridle along with the bit straps. 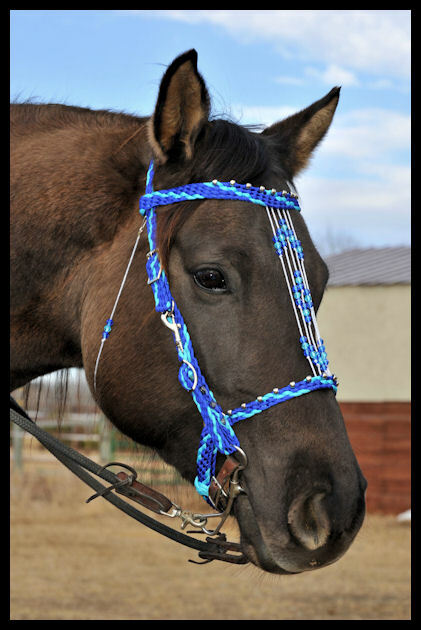 This style features a fancy bead pattern connecting the browband and the noseband. 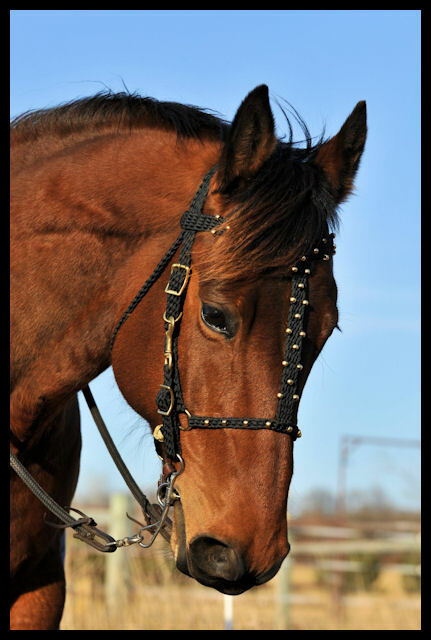 I can also do a braided throatlatch. 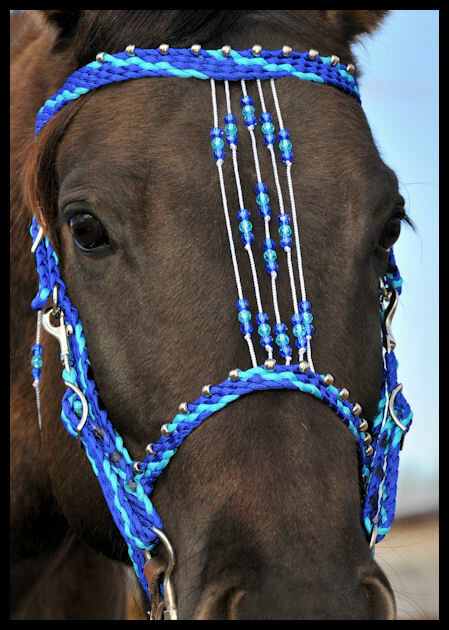 - Shown here in Electric Blue / Neon Turquoise with silver on an AQHA mare.